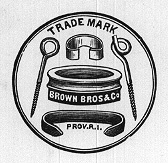 Trademark incorporating elements of ring spinning technology, from a Brown Brothers & Co. trade catalog, ca. 1881. 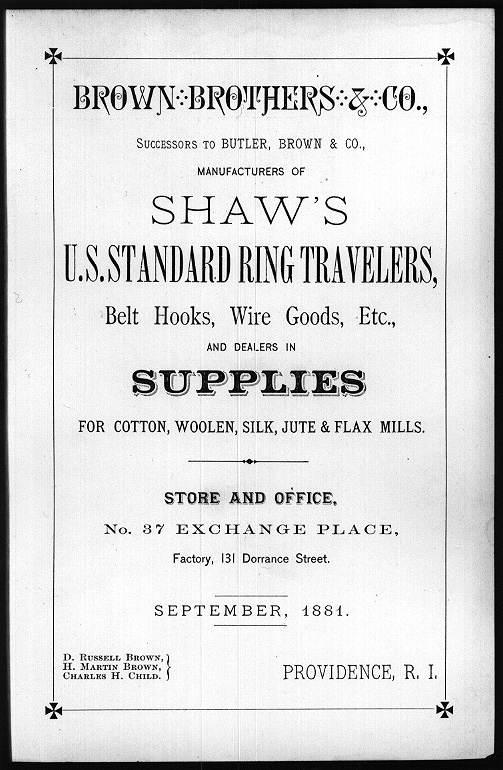 Brown Brothers & Co. Brown Brothers & Co., Successors to Butler, Brown & Co., Manufacturers of Shaw's U. S. Standard Ring Travelers, Belt Hooks, Wire Goods, Etc., and Dealers in Supplies for Cotton, Woolen, Silk, Jute & Flax Mills. Providence, R.I.: Brown Brothers & Co., c1881. E. Jenckes Manufacturing Co. 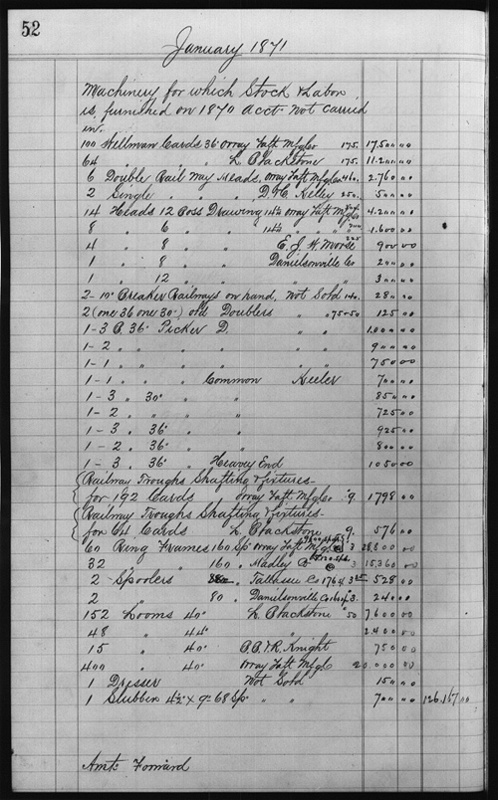 Illustrated Price List: E. Jenckes Mfg. 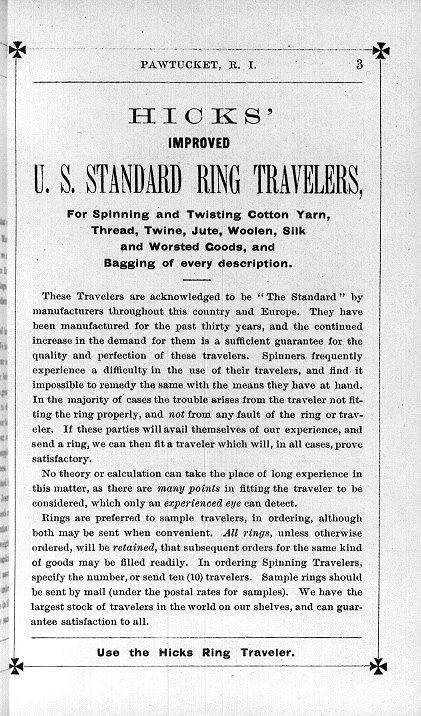 Co., Sole Manufacturers of Hicks' U. S. Standard Ring Travelers, Manufacturers' Supplies of Every Description. Pawtucket, R.I.: E. Jenckes Mfg. Co., 1883. 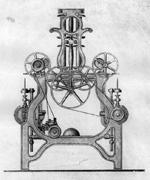 Whitin Machine Works account book entry for January 1871, including the production of ring frames. Accounts such as these can be a valuable resource for tracking the production of emerging technologies. 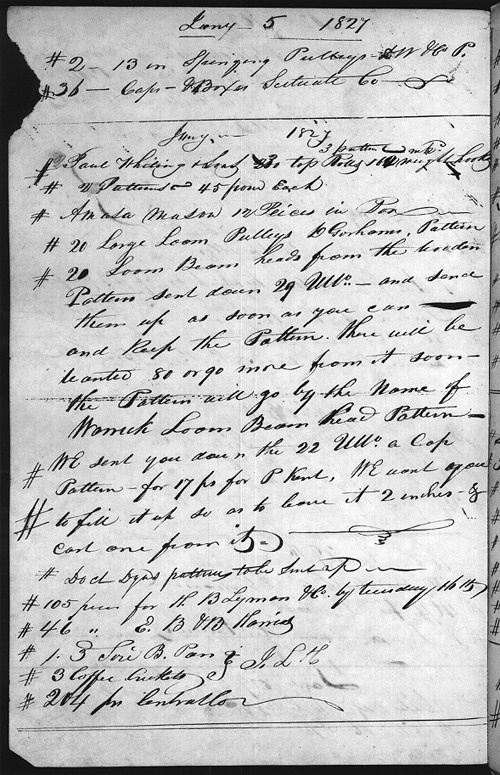 Order book for Providence Iron Foundry, entry for Jan. 5, 1827, indicating an order for Paul Whitin and Sons. In the early years of American industrial expansion, iron foundries furnished castings to a variety of manufacturers, including the textile industry.